Dial An Appliance Man offers in-home, same day service on all the leading major brands. 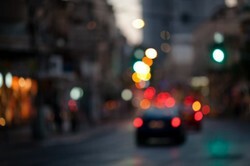 Our customer service and speedy turn around, turns clients into regulars. Appliance Repair has been providing repairs, installations and maintenance, while providing in-home, same day repairs for most of the major brands. Our commercial services include working directly with landlords on large apartment complex and retail businesses with their appliance repairs. Washer overflowing? No problem for us! We specialize in all of the major washer/dryer brands. From thermostats to fans, Dial An Appliance Man carries the parts required when a fridge goes down. Our goal - keep your refrigerator's cool! Dial An Appliance Man makes sure all of your popsicles and ice cream stay cold in the Edmonton summers! Give us a call! We've got you covered if your oven goes down while cooking your evening dinner! We provide excellent service to our clients by remaining up to date on all dishwasher issues, regardless of make and model. Our business model is built around customer service and we take pride in knowing you will come back to us for repeat business. 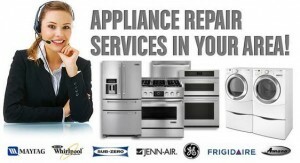 Dial An Appliance Man is the fastest and most reliable appliance repair business in Edmonton. Our technician's are certified and trained in all major brands of appliances. Dial An Appliance Man makes sure that our clients get the best deal on parts and repairs. appliance repair. When you think local appliance repair think Edmonton Appliance Repair.